Here’s a question I get asked ALL the time! Why do you keep going back to the same cities over and over again? Like Rome, for example. Haven’t you seen all the “Big Sites?” Well, there’s several answers to that question, and so many Ancient Rome facts I’m always discovering! I’ll explain more deeply in this post. And while I’m answering that question, how about I share 5 Interesting Facts About Rome?! 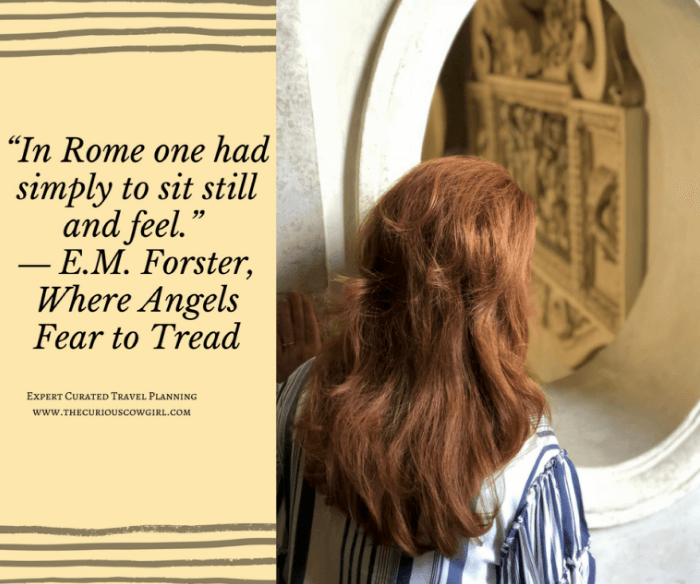 Let’s dig into the question: Why do I go back to Rome over and over again? Haven’t I seen all the “Big Sites.” Well….yes…and no. I guest my first thought is, what qualifies as the Big Sites? The Vatican. Yes. The Colosseum. Certainly. The Pantheon? I’d call that one of the biggies! 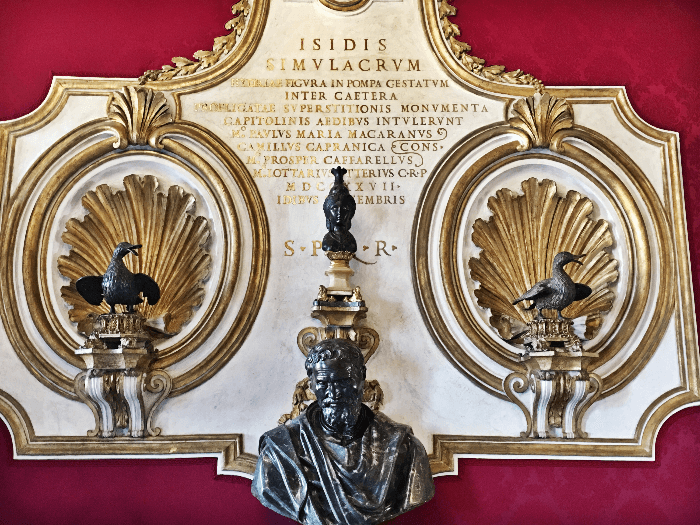 But what about The Capitoline Museum, which I wrote about in this post? It houses some of the most important relics from Ancient Rome, and yet many tourists never see this amazing museum. What about a visit to the Santa Maria della Vittoria Church, to see Bernini’s famous St. Theresa in Ecstasy. 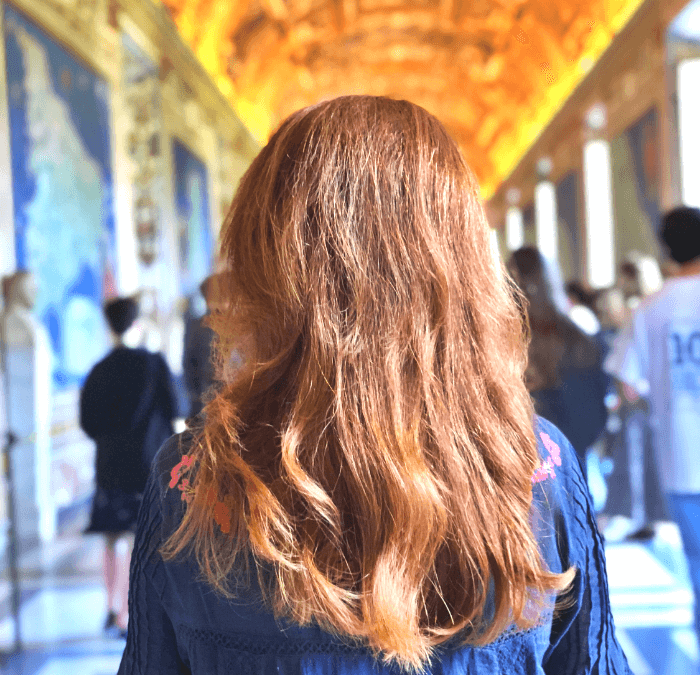 I’d consider that one of the Big Sites, because I am in awe of Bernini, as you know from this post, but many tourists never make it there, because their time in Rome is limited. That’s entirely why I keep going back to Rome, year after year. There’s just simply so much to see. There’s so many Ancient Rome facts to uncover. I learn so much, trip after trip. 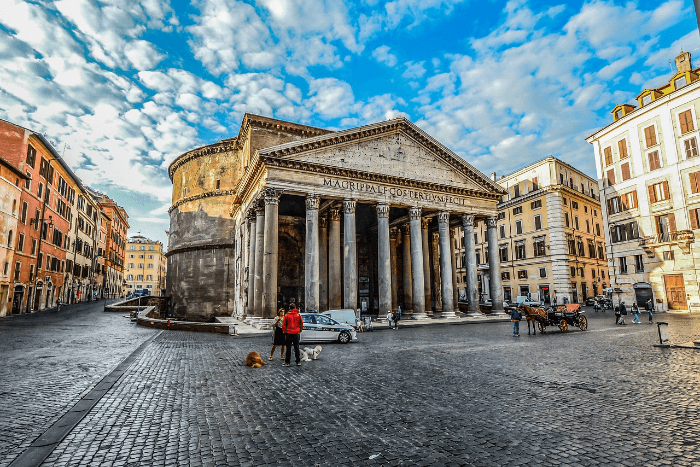 How about I share with you 5 Interesting Ancient Rome Facts I have learned over time? Most water fountains share a design in the shape of a column. 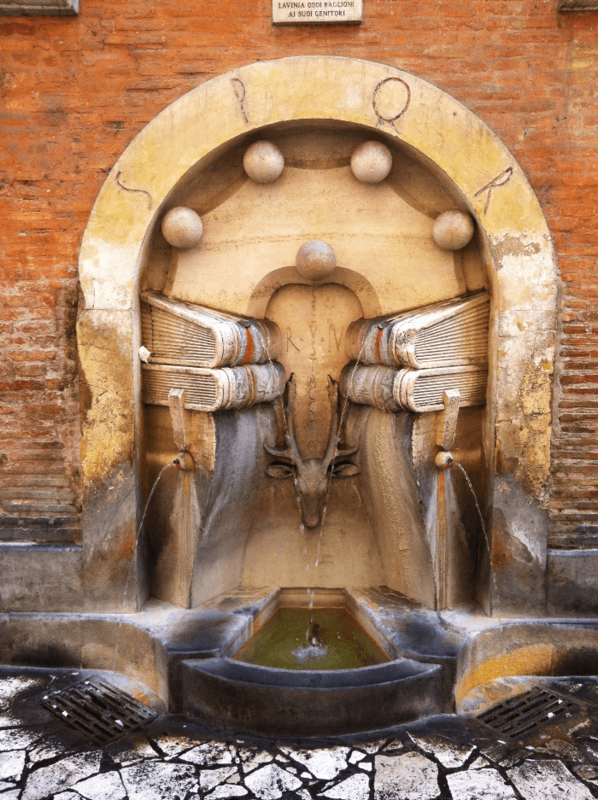 The form of the water spout varies but most nasoni have a metal spout protruding at mid-height which looks like a nose and gives the fountains their name “large noses”. Other designs include wolf-heads, dragons and lions, or this one pictured above. The water coming from the fountains is the same supplied to the city’s households and thus safe for drinking. It is continuously running from the fountain through a hole at the bottom of the spout and then recycled if not used. If you are concerned with Green Tourism, then plan on brining your own insulated water bottle with you to Rome, and fill up any time you need a cool refreshing drink of water! 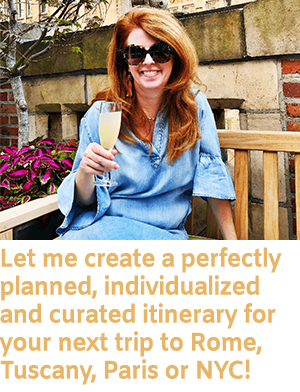 And, while we are on the subject, if you are planning travel to Rome, I have a wonderful International Travel Planning Guide and Check-List. It’s FREE, and will really help you get organized! Just click on the image below to get your copy. Here’s an image of the Pantheon. Ancient Rome Fact: it was built by the Emperor Hadrian….same dude who built Hadrian’s Wall in the UK. He didn’t build it personally, but you know what I mean. Anyway, this is how modern tourists see the Pantheon, the famous domed ceiling peeking out from behind the facade. But, did the Pantheon always look like this? Lookie lookie…can you see what is different? There are two towers attached to the facade, that no longer exist. 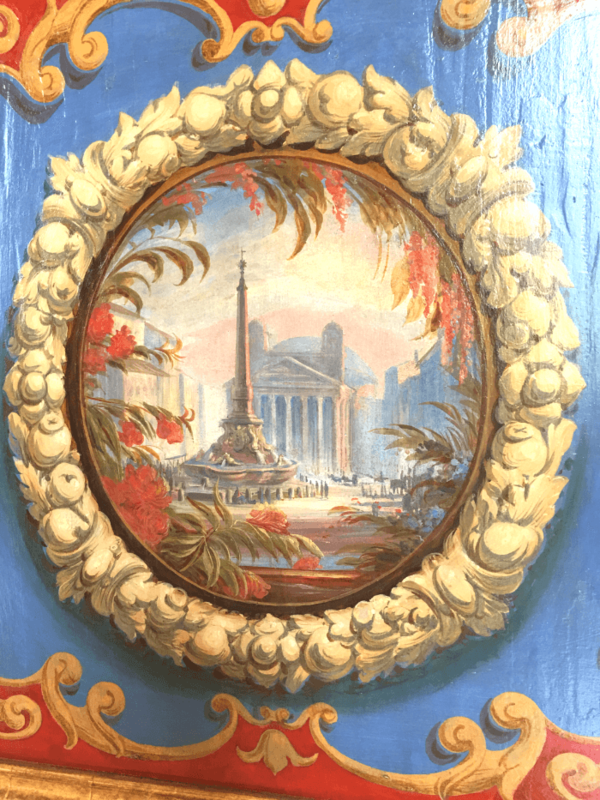 This image is a close up photo I took of a detail from a painted cabinet in the Vatican Museum. Did I notice this on my own. Nope! My favorite tour guide in the world pointed it out to me! He’s AMAZING, and if you are headed to Rome, I highly recommend you reach out to him! RGSCCReferral@gmail.com. For a more complete description of everything his company offers, click here to read the full post. Ancient Rome Fact: The Eternal City has actually been sacked (like totally destroyed and taken over) a number of times, with varying levels of damage. The first raiders were the Gauls, about 2,400 years ago. The Gauls had conquered all of the city except for the Capitoline Hill, which the Romans defended vigorously. According to legend, Gallic troops tried to sneak up the hill during the night, but disturbed a sacred flock of geese that lived in the temple of Juno. Their honking was loud enough to alert the Roman guards, who threw the invaders off the holy hill. An Ancient Rome fact I find pretty fascinating! This plaque commemorating the event can be seen inside the Capitoline Museum, one of my favorite “Big Sites” to visit every single time I go to Rome. 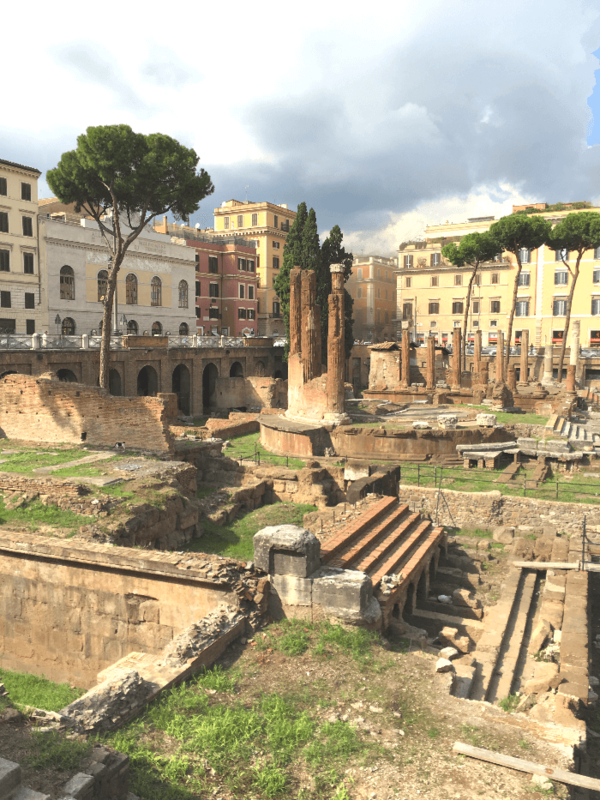 Known as Largo di Torre Argentina, this archaeological wonder contains part of the famous portico of Pompey, upon whose steps dictator Julius Caesar was betrayed and killed in 44 BC. Today, volunteers at Torre Argentina care for approximately 130 cats, many of which are disabled or suffer from illness. Today help has ramped up with care for sick or wounded cats, as well as an extensive spay and neuter program to keep the feral population in check. Most of the permanent residents have special needs—they are blind or missing legs or came from abusive homes. Just like in modern times, Ancient Romans had “Season Tickets” to the events held at the Colosseum. 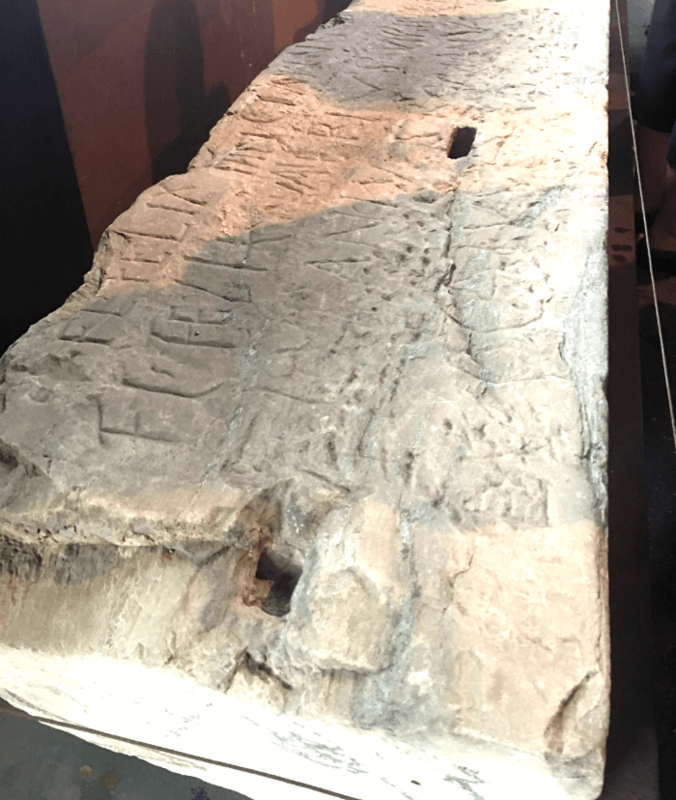 Seat-holders had their name carved into the marble seats, until they relinquished said seats. Then, their name was chissled off the seat, and the new owners’ name was chisseled in. I learned this amazing Ancient Rome fact on my 6th or 7th visit to the Colosseum. So, yes. I do go back to the “Big Sites.” Over and over again, because there’s so much to learn. And, the more I visit Rome, the more Ancient Rome Facts I want to learn, and the bigger my list of the “Big Sites” gets. Because every venue has something to teach me. And I think the greatest benefit of travel, is making yourself into a life-long learner. Want to read more about Rome, click here for a listing of many of my most popular posts on Rome. 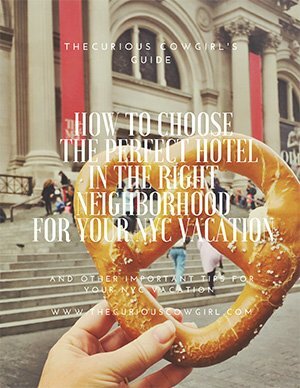 Planning to travel to Rome and need a good list of excellent restaurants? 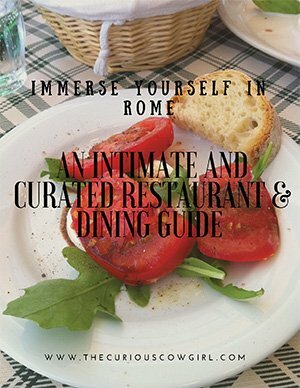 I’ve got the PERFECT Rome Restaurant Guide! Click here to get your copy!